A new addition to the studio bookcase. 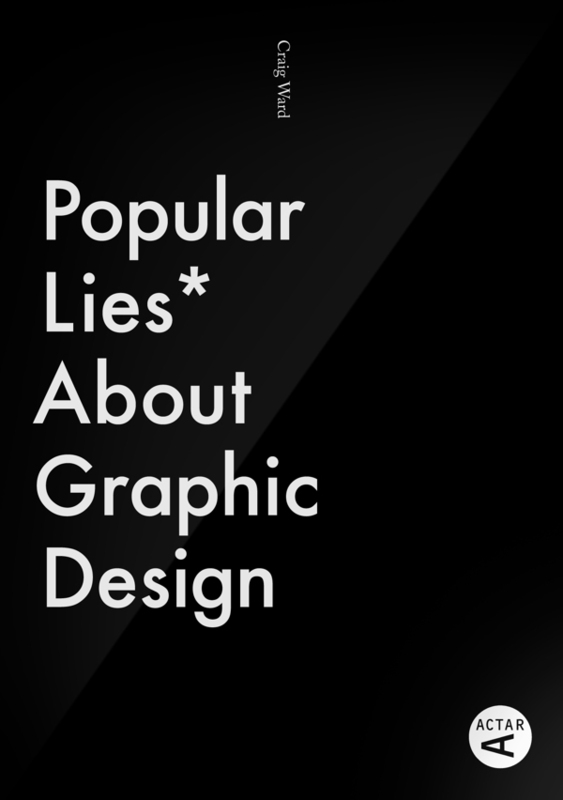 Multi award-winning designer, typographer and TED speaker, Craig Ward, presents his first self-authored book – Popular Lies About Graphic Design. An attempt to debunk the various misconceptions, half truths and, in some cases, outright lies which permeate the industry of design. Lovingly designed and written both passionately and irreverently, Ward pulls from his ten years of experience to tackle lighter subjects such as design fetishists, Helvetica’s neutrality and urgent briefs, alongside discussions on more worthy topics such as the validity of design education, the supposed death of print, client relationships and pitch planning. In addition, the book features contributions and insights from more than a dozen other established practitioners such as Milton Glaser, Stefan Sagmeister, Christoph Niemann and David Carson making it a must for students, recent graduates and seasoned practitioners alike.